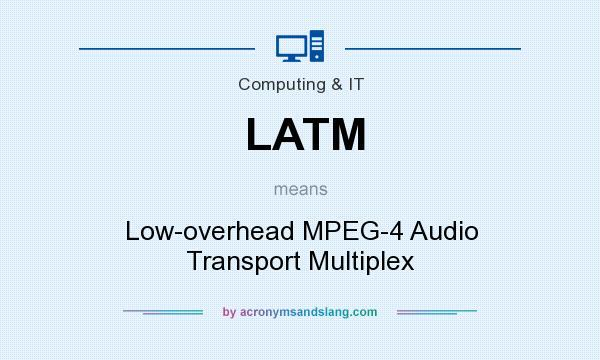 LATM stands for "Low-overhead MPEG-4 Audio Transport Multiplex"
How to abbreviate "Low-overhead MPEG-4 Audio Transport Multiplex"? What is the meaning of LATM abbreviation? The meaning of LATM abbreviation is "Low-overhead MPEG-4 Audio Transport Multiplex"
LATM as abbreviation means "Low-overhead MPEG-4 Audio Transport Multiplex"